Hi, crafters! I often look to use my Imagine Crafts products in a fun and innovative way. So today I created a card using fun and bright colors of Easter to make a textured die cut embellishment piece. Step 1. Take some Radiant Neon Inkers in your chosen colors. For this project, I am using Electric Pink and Electric Blue. Step 2. Take a piece of shrink wrap and crumble it up. Unfold the shrink wrap and squeeze some drops of the Radiant Neon Inkers onto the wrap. Crumble up the shrink wrap again so the colors slightly mix as shown in the 2nd photo above. Step 3. 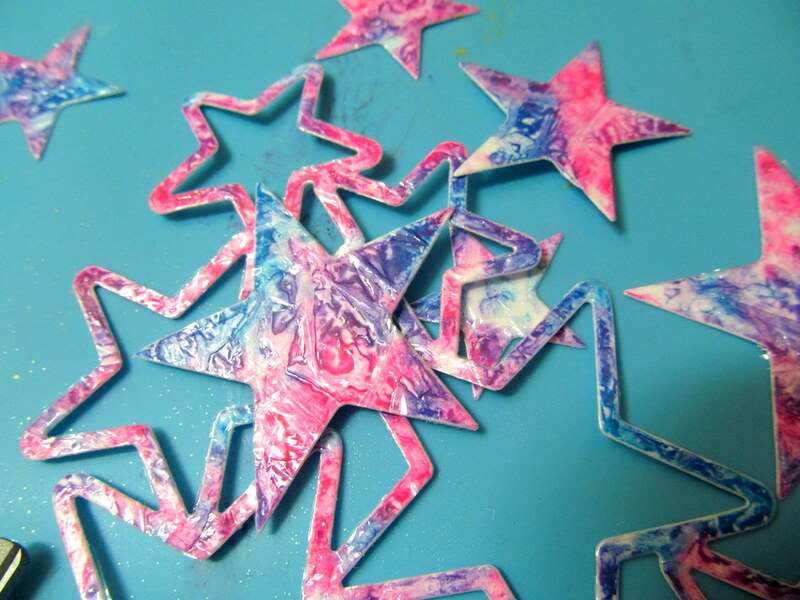 Apply some Mod Podge to a piece of white cardstock making sure the entire area is covered well. Step 4. Once done, apply the shrink wrap to your cardstock. 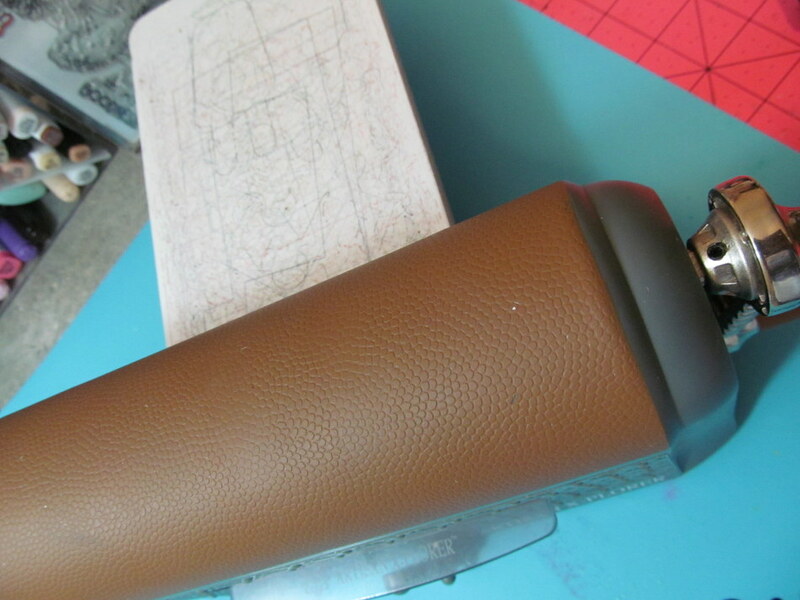 You can take a brayer and run it over the area which will ensure it adheres to the cardstock evenly. Step 5. Heat set, this will speed up drying time as well as heat the shrink wrap to give it more texture as it heats up. Step 6. Run the shrink wrap through a die cut machine along with your chosen metal die. 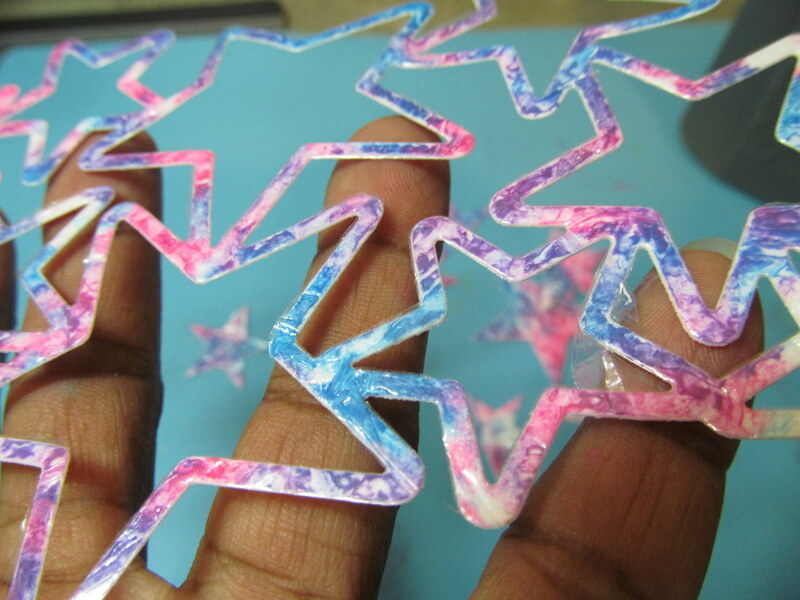 I am using a collage of stars by Spellbinders. Pop out the die cut piece and adhered it to another piece of white cardstock. Then layer it against a piece of black cardstock which allows the colors to really pop off the page. To finish the card I added a sentiment “Friends” to the front to complete the look! This entry was posted in Cards, DIFFICULTY LEVEL, INSPIRATION, Intermediate, Monica Edwards, PROJECTS, UNCATEGORIZED and tagged Radiant Neon. Bookmark the permalink. Totally awesome!!! LOVELOVELOVE this and am definitely going to give it a try!! TFS!